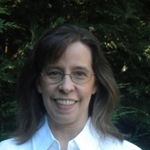 Paula Mowery is a published author, acquisitions editor, and speaker. Her first two published works were The Blessing Seer and Be The Blessing from Pelican Book Group. Both are women’s fiction, and their themes have been the topics of speaking engagements. Be The Blessing won the Selah Award in 2014 in the novella category. In November of 2013 her first romance released in the anthology, Brave New Century, from Prism Book Group. This book went to number five on Amazon’s bestseller category, historical Christian romance. Legacy and Love was her first solo romance and was a finalist in the Carolyn Readers Choice Awards in 2015. Her other titles include a Christian romantic suspense called For Our Good, a Christmas romance called Love Again, and a romance inspired from the Love Chapter called The Crux of Honor. Reviewers of her writing characterize it as “thundering with emotion.” Her articles have appeared in Woman’s World, The Christian Online Magazine, and the multi-author devotional blogs, Full Flavored Living and Putting on the New. She wrote a section for Join the Insanity by Rhonda Rhea. She has devotionals included in several collaborative books. Having been an avid reader of Christian fiction, she now puts that love to use by writing book reviews. She is a member of ACFW and also on the faculty for the Blue Ridge Mountains Christian Writers Conference. Paula is a pastor’s wife and mom to a college student. She homeschooled her daughter through all twelve years, and they both lived to tell about it. Before educating her daughter at home, she was an English teacher in public school. Learn more about Paula at her blog as well as find other links to connect with her at www.paulamowery.blogspot.com.